Two weeks ago I did a presentation at the Investment Recovery Association annual conference. I knew my approach was edgy and therefore I fully expected to have things thrown at me – at least in people’s minds. What I did not expect was to have nodding heads and half the room lined up to talk to me at the end. I obviously hit on something, so here goes . . . According to The Investment Recovery Association “ . . . professionally-run IR Departments return over a 30X bottom-line net profit for every dollar invested in investment recovery operations, making it among the most productive departments in any organization!” Wow! How many investments do you know of that can claim such a return? As the function that sits at the very end of the Supply Chain, Investment Recovery has the responsibility of dealing with the “waste” – what is left over at the end of the manufacturing process or assets that are at the end of their useful life. In most cases, performance is measured by how much revenue can be generated from selling that “waste”. If revenue goes up, the ROI increases and Investment Recovery (“IR”) is a success. But an increase in revenue either means IR was able to sell the “waste” at a higher price – great (maybe?) or there was an increase in the volume of “waste” – not so great! This measure of success got me to thinking about an example I always use in the decision making classes I teach to executives. 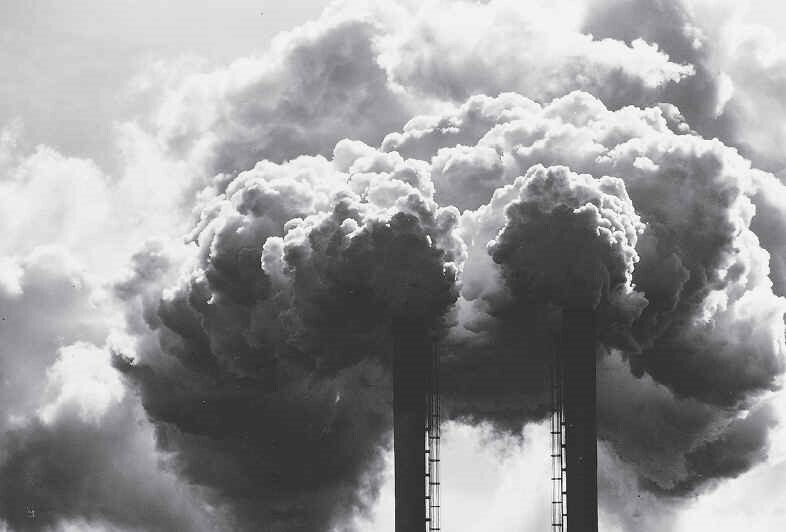 In the 1970’s, in response to new U.S. pollution regulations most companies (about 80% according to one study) trapped and filtered emissions (waste) at the end of the pipe, resulting in rising cost and increased inefficiency. The issue was framed as “How can we filter it out and get rid of it quickly?” A few companies though, like Dow Corning and 3M chose to reengineer products and processes to recycle the pollutants or eliminate them altogether, which proved to be more costly upfront but much cheaper in the long run. They framed the issue as “What is the cheapest way to produce products with less pollution?” I find this example to be illustrative of the challenges facing Investment Recovery. Do they continue to focus on the “end of the pipe” or reframe their role altogether. 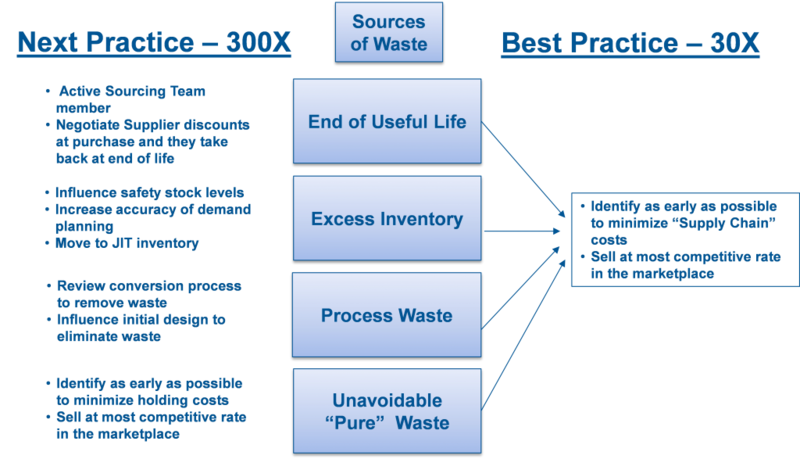 Is your role to get the most $$ in the market for “waste”? > Waste = > Revenue? Is this how you measure success? What is the real Return on Investment when you factor in original acquisition cost plus supply chain costs plus holding costs (even if you factor in depreciation)? Can you achieve a greater ROI by being involved early in the process (Design, Acquisition, Planning, etc.) to eliminate “waste” as opposed to merely selling it at the end? Are you perhaps providing the wrong service, to the wrong stakeholders for the wrong reason? I realize that these questions are provocative and may be considered “stirring the pot”. Can moving from reactive (being at the end of the Supply Chain) which yields an ROI of 30X and is considered Best Practice to proactive (being involved much earlier in the Supply Chain) which is considered Next Practice yield an ROI of 300X? I think so, and by the response I received at the annual Investment Recovery Association conference so do many others in the profession. In a recent survey conducted by an independent research firm, CAPS, they noted “. . . . . Only 29% of the survey respondents said their investment recovery groups are active in trying to prevent the generation of surplus assets . . . . .” We are on to something, I just know it. I also like to think of the Investment Recovery professional as a doctor that examines “waste” to determine and eliminate the source of the issues 🙂 !. So, what is the role of the Investment Recovery if they want to move toward 300X? 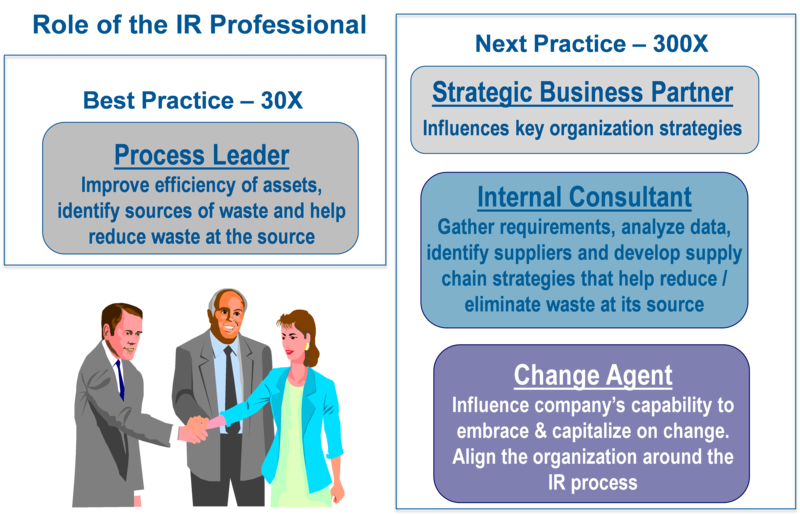 OK, if you agree that IR is in the best position to influence how to eliminate “waste” at its’ source then how do they get there? How do they get to 300X? How do they gain respect in the Supply Chain? Ooops, my word count is too high so I will have to reveal that in my next post 🙂 ! Stay tuned . . . In addition, please take a few minutes to complete The Mpower Group’s Next Practice Investment Recovery Maturity Model study. Any organization that participates will receive a customized report letting you know where you stack up. Please follow this link to participate. Let us know what you think and join in the conversation . . . . . .
Next Article Strategic Competencies are more important than Functional Competencies!! What’s the news here?